If pop-art is meant to make you laugh and then think, then Anshie Kagan is the king of Jewish pop-art. His latest sculpture, which will be auctioned off by Krestenbaum & Company in two weeks, can only be classified as messianic tongue-in-cheek. A red box with a glass front and a small hammer, it could be mistaken for any other emergency box. Except the message on the front reads, “In Case of Moshiach (Messiah) Break Glass”, and inside is a shofar, a ram’s horn, that will come in handy if the Messiah forgets to bring one of his own. Anshie skateboards along the fine line that separates insanity from genius while thumbing his nose at the establishment. His whimsical approach may cause some to think his work isn’t serious art. However, Daniel Kestenbaum, founder and president of Kestenbaum & Company, an upscale boutique auction house in Manhattan featuring fine Judaica, is a heavyweight in the world of fine art, and he is taking Anshie quite seriously. This is the second piece of Anshie’s work being offered at this prestigious venue. 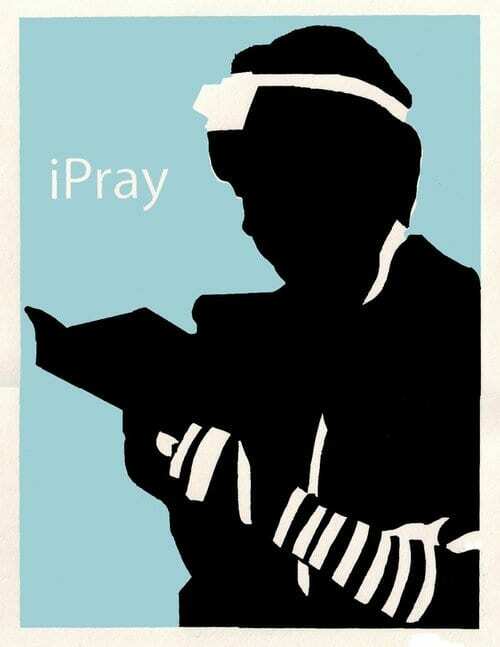 Anshie is not afraid to make fun of the iJews who iPray while wearing iTefillin, and describes Jewish life in modern terms. And that is the real twist. While he pokes fun, Anshie is an insider who treasures his Jewish heritage. He explained to Breaking Israel News that he has been confronted, called “irreverent” and “morally unacceptable,” but his detractors have a difficult time explaining precisely what it is that makes his art unkosher. Anshie grew up in Orthodox Jewish communities and learned in yeshiva, but his studies at Manhattan’s Fashion Institute of Technology give him serious pop-art credentials. A picture of the Lubavitcher Rebbe, repeated four times, printed with bold colors, is a tribute to Andy Warhol with a Yiddish accent. A shofar with the caption “Ceci n’est pas un Shofar” (this is not a shofar) is a Brooklyn Jew’s response to Rene Magritte’s surrealist statement, “Ceci n’est pas une pipe” (This is not a pipe). And his paint-splattered ‘Mizrach’ (an ornament found in many Jewish homes on the eastern wall to remember Jerusalem in the east) would make Jackson Pollock feel right at home. Anshie has a series on Jewish dating styled after the classic comics of Roy Lichtenstein and another series on modesty based on John Baldessari’s artistic style. Anshie pokes fun at mainstream culture, but in a Jewish context. Turning to Dr. Seuss for inspiration, he drew a synagogue the Cat in the Hat would have felt proud to pray in and a Hanukkah greeting that Horton would have heard a Who speaking Hebrew in. His picture of an ornate yad, a pointer used for reading from the Torah, is quite average, except for the Mickey Mouse glove at the end. An incongruous black and white picture of a Hasidic man, with a tiny splash of curled pink ribbon commemorating breast-cancer awareness, will make you smile and then think. And then think again. While Anshie works during the day as a welder, but his avocation allows him to bring together his two passions: art and Torah. “I keep it Jewish for a reason. 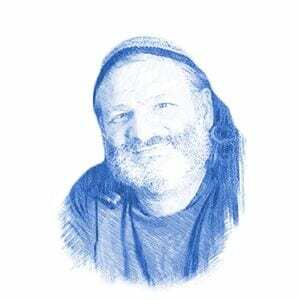 It’s what I love and what I know,” he explained to Breaking Israel News. Viewing Anshie’s works of art, they clearly come from the heart and the soul. However, limits on his creativity come at a price as Anshie’s subject matter must stay within boundaries of Torah modesty. Admittedly, some of the messages and much of the humor instilled in his creations will be missed or misunderstood by non-Jews. However, in addition to being featured in pop-up galleries and art shows, Anshie’s artwork are frequently displayed in upscale restaurants. And if a great Torah sage is going to be staring at you while you eat, the food better be kosher.